From 18-24 months, babies are learning to move their bodies in every way. From fine motor skill of using utensils to the freestyling motions of dancing and finding a rhythm, those little ones are ready to start moving. With that in mind, the following gift guide will give you plenty of ideas for that active little baby in your life. 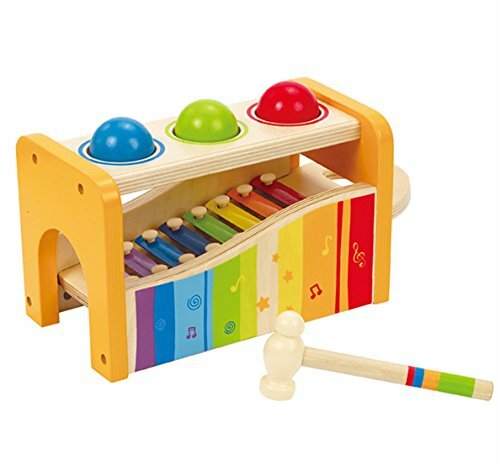 The Hape-Pound & Tap Bench with Slide-Out Xylophone is an all-around fun gift to give the music-loving baby. The colors are bright, and the sound is clear for them to learn the notes. Colorful balls that fit neatly into the top of the bench give them the hand-eye coordination along with an introduction to shapes and colors. You’ll surely put a smile on their faces with this toy. 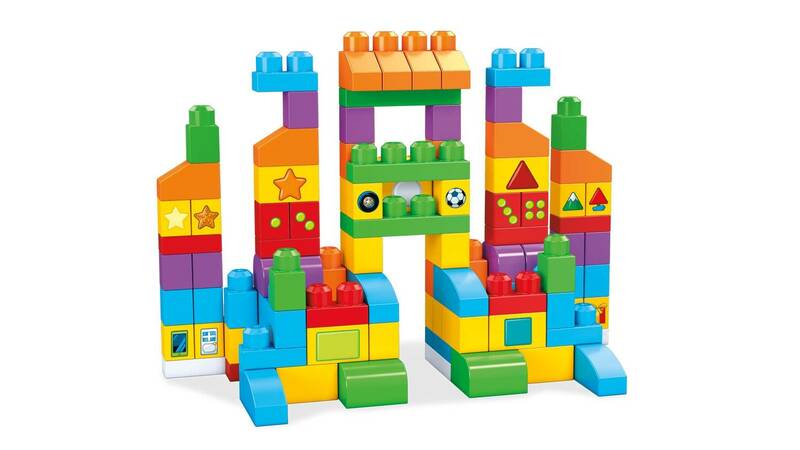 For the builder baby in your life, turn to Mega Bloks. These massive Legos come in vibrant colors, sturdy construction, and fun shapes so you baby can build from the imagination. Mega Bloks has a few different collections for you to choose from including the classic and color trends. Toddlers at this age may still be experiencing teething but may not look to chew on everything like they did when they were younger. Anjie + Ash teething jewelry is a must have for Mom when kids reach this age and are on the move! The magnetic safety clasp opens easily so Mom can avoid being accidentally hurt by a playful, energetic kid who may grab at or get caught on a necklace. The jewelry is made from safe silicone and stainless steel so if your toddler happens to give it a taste, its ok! Find the perfect gift for that 18-24-month-old love in your life and try these fabulous finds for this year’s holidays or birthdays.